"Whether using one finger or all ten, a digital piano makes the enjoyment of playing piano more affordable than ever." Enter a musical world where the physical meets digital, where authentic and synthetic sounds coexist, fooling all of the senses. Smart pianos are truly magical in how they assist both piano players and no-players alike. Frank and Camille’s offers an entire range of digital, slient and player “smart" pianos that use the latest technology to enhance your musical experience at home. You’ll be amazing at what they can do! The responsiveness of the keyboard. The realistic sound quality. The spacial recreation of a concert hall. Digital pianos offer the function of a traditional piano with the easy-to-play features with the assistance of the latest tech all in a form factor that fits in any sized space. Here are the top reasons to choose a digital piano from Frank and Camille’s. If an acoustic piano is slightly over budget, a digital piano is the perfect alternative. A digital piano offers impressive touch and tone giving you the satisfaction of playing the piano at the most affordable investment. 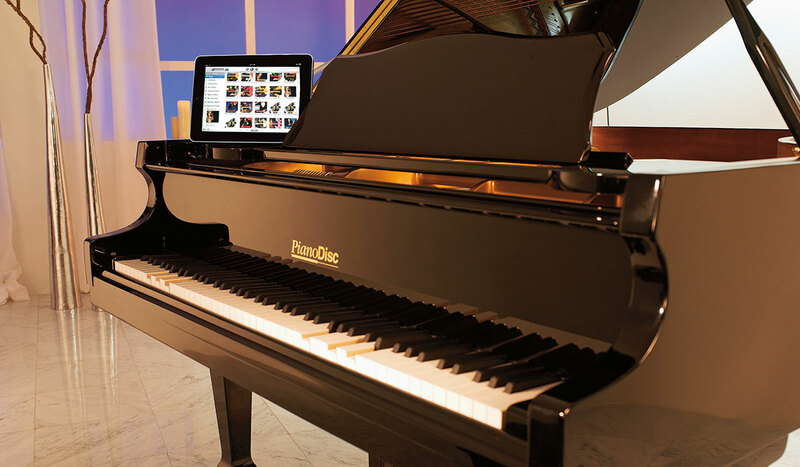 A digital piano can be placed in any room to play and practice day or night with the privacy of headphones. Many models offer two headphone jacks so another player or teacher can listen in. Some digital pianos offer digitally-sampled instruments, dynamic drum patterns and orchestrated accompaniments turning any player into a one man band! "Switch from hammers and strings to digital sound any time you choose. Practice in complete privacy and perform for yourself." With a silent piano, a single lever stops the hammers from reaching the strings, effectively silencing the acoustic sound to outside ears. The pianist continues to play normally, hearing a rich piano tone in life-like digital reproduction through a pair of stereo headphones. Choose from factory-installed systems or PianoDisc’s QuietTime system which can be retrofit to virtually any acoustic piano. “Entertain in style and enjoy live piano performances in your very own living room. Although player pianos have been around for over a century, today’s tech makes them truly magical." Enjoy piano performances created by the world’s finest pianists with one of the largest music libraries in the world, including thosands of titles in every category from classical to Broadway to rock. Enjoy the beauty of a piano, as well as the richness of live piano music in your home, all without having to play. Enjoy live performances even if you don’t play piano with a player piano in your home. The smart tech delivers a beautiful, fully expressive piano performance, even at whisper-soft levels, all at the touch of a button. Some player piano models offer the sounds of an entire symphony, allowing you to hear playback of not only the acoustic piano, but an orchestra as well, with the realistic sounds of hundreds of digitally-sampled instruments. 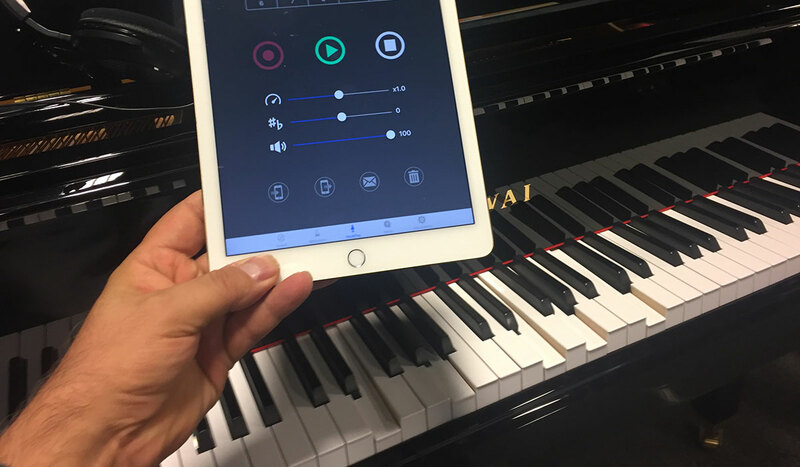 The latest tech allows you to control your player piano performances with your iPhone or Android smartphone. Use the app to play, pause, stop or even adjust the volume and watch your piano respond. A silent piano offers the best of both worlds: an acoustic piano with hammers and strings and the ability practice in silence with sound reproduction from the latest in digital sampling. A slient piano is perfect for those who want to dril and practice in completely privacy. And, with the convenience of headphones, you can play and practice any time of day or night. A silent piano offers MIDI-connectivity built in, allowing you to connect your iPad or computer to play and record using dozens of instrumental sounds. The possibilities are endless. To learn more about the amazing PianoDisc IQ player piano systems and options available, download their informative brochure.